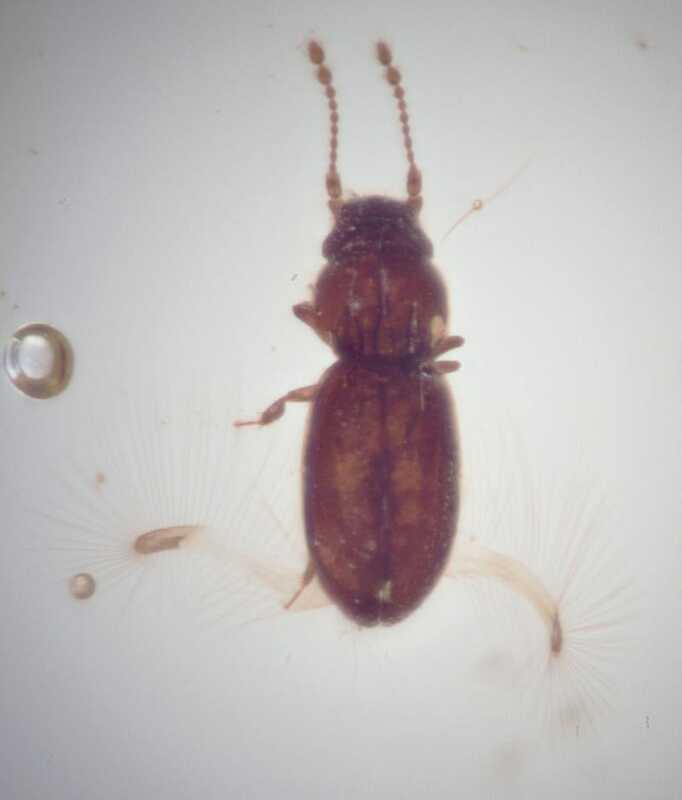 Featherwing beetles are some of the smallest insects out there — and one researcher managed to spot an ancient specimen in a 99-million-year-old chunk of amber. Just half a millimetre long, this Cretaceous period beetle had its signature fringed wings unfurled when it met its sticky demise. “These beetles lived in the Cretaceous, so they lived with dinosaurs,” said Shuhei Yamamoto, an entomologist at the Field Museum of Natural History in Chicago, who discovered the beetle. Featherwing beetles don’t flap their wings, but instead use them to glide through the air like a dandelion wisp. Yamamoto told Gizmodo that this beetle was probably gliding when it got caught in some tree sap, where it has remained for millions of years. The researchers decided to name the little guy Jason, a reference to the ancient Greek hero who sailed around the world looking for the Golden Fleece. The beetle’s official species name is Kekveus jason, as described in a study published last month in the journal Cretaceous Research. Yamamoto initially wasn’t sure if Jason was an insect or just a bit of dust, but after much cutting, polishing, zooming, and photographing, he could confirm that the speck was indeed a tiny, prehistoric beetle. “It took us more than two years to get the photos we used in the paper,” he said. Jason, whose amber coffin was found in Hukawng Valley in northern Myanmar, is now the oldest known member of the featherwing beetle lineage. Today, you can see featherwing beetles — or maybe not, because they’re so teeny — sailing airspaces all over the world, mostly in temperate and tropical regions. The fact that Jason has many of the same features as today’s featherwing beetles is important, Yamamoto said; it shows the species evolved its gliding ability and tiny stature earlier than entomologists had thought.